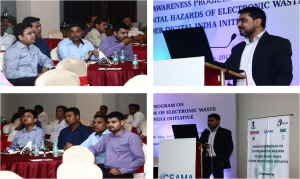 A workshop to create awareness of environmental hazards of electronic waste among electronic and appliance dealers was held at the Hotel Lily, Guwahati on 24th of May 2017. 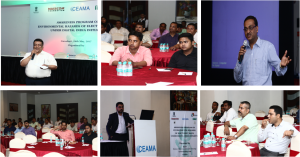 The workshop was conducted by Consumer Electronics and Appliance Manufacturers’ Association (CEAMA), on behalf of Ministry of Electronics and Information Technology. It is a part of a series of initiatives on e-Waste under Digital India. 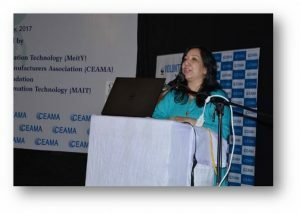 Consumer Electronics and Appliances Manufacturers Association (CEAMA), an all-India body representing the consumer electronics and home appliances industry,in partnership with MeitY, NASSCOM Foundation and MAIT,had organized an awareness programme on Environmental Hazards of Electronic Waste under the ‘Digital India Initiative’for schools in the city of Guwahati. The Awareness programme is an initiative to sensitize and impart knowledge among the students, teachers andparents about proper management, disposal and channelization of E waste, thereby reducing the impact of hazardous substances on the environment and encouraging environmentally sound recycling through collective efforts of all the stakeholders involved in the entire E waste value chain. 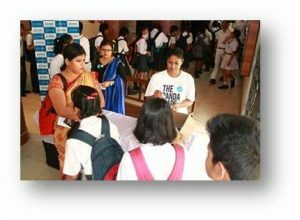 The program was held at Rabindra Bhawan and was attended by around 1250 students and teachers (in 2 batches) from 15 different schools of Guwahati, viz. Shri Vinod Seshan, IAS, Deputy Commissioner, Kamrup – Rural was the chief guest for the first session and Prof. Dr. Dhruba Jyoti Saikia, Vice Chancellor Cotton College State University, Guwahati was the chief guest for the second session. Mr. Rohit Kumar Singh, Manager, Corporate Affairs, Planning & Strategy CEAMA, Mrs. Mita Nangia Goswami, Eco Roots Foundation &Mrs. Archita Baruah Bhattacharyya WWF-India were present during the program.